Can I see a list of customers who belong to a particular segment? At the moment listing customers based on email addresses, names or anonymous customerID is not supported. 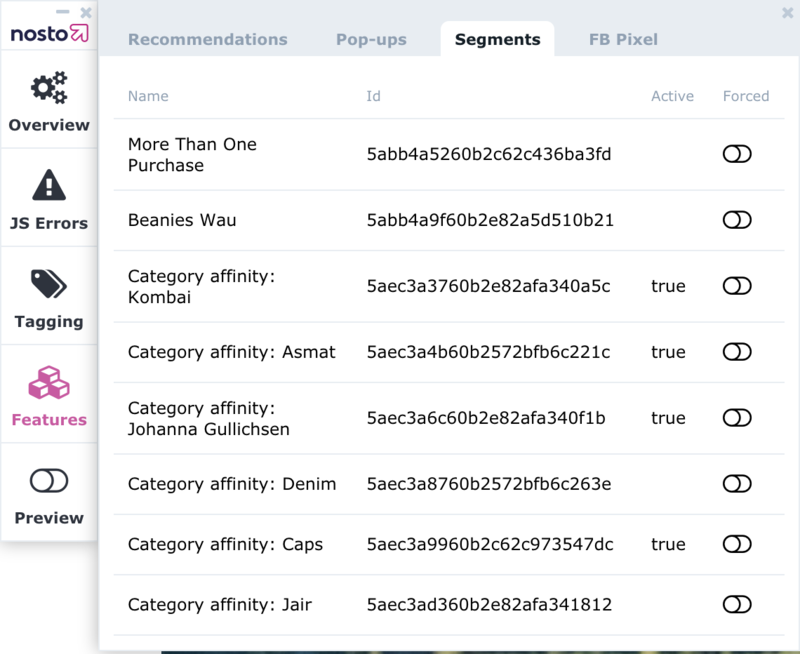 In order to debug the experiences, you can still use the debug tool to preview to which segments you belong to. This helps you to understand better why one or more on-site experiences were shown to you or when you want to debug on-site content personalization features. 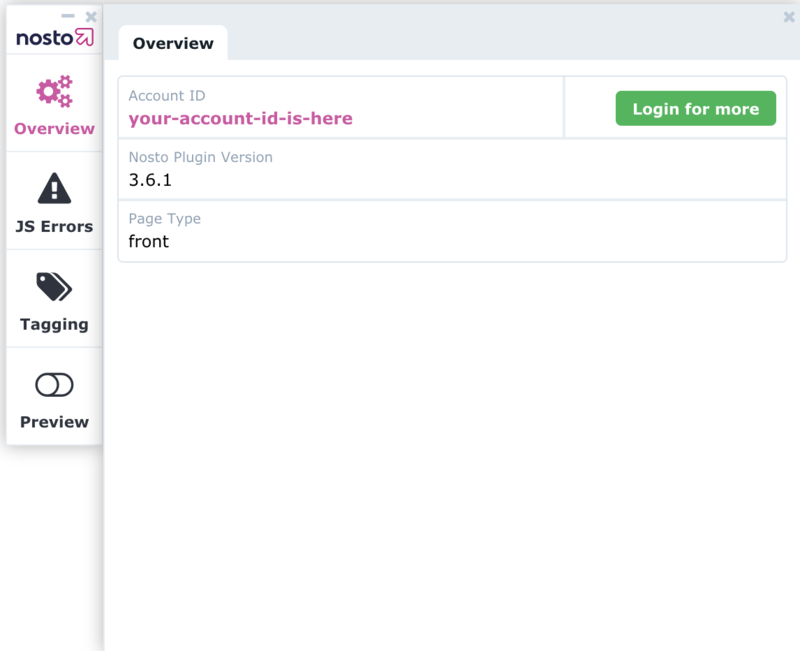 Start by enabling the Nosto debug-tool and navigate to Overview-area and click Login for more, which will prompt you to log-in to the Nosto admin. Next, navigate to Features and Segments tab, which lists all available segments. Value is true in column Active indicating the segments you belong to, while the switch Forced reveals the experience in your browser regardless if you belong to the segment or not. Please keep in mind that you might belong to multiple if not all segments especially if you visit your businesses website multiple times a day, which doesn't reflect normal customer behaviour on your online store. Alternatively you can also export customers as .csv-file. However, .csv-export includes only customers who have been identified by an email address, and not necessarily all users who belong to the segment.